Easter is a day where people share the joy of life and friendship. And the people of Nuanor are no exception. For this Easter weekend, Fortune Eggs have been scattered throughout Ausgyth. 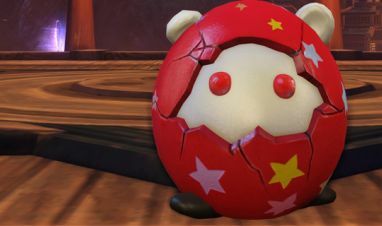 However, colored eggs containing special Easter rewards have been transformed into Troublemakers playing pranks everywhere. Between March 31, 00:00 and April 1, 23:59 (server time), players at level 20 or higher can head to Dan Dan (Sulan Bridge, 5455, -1953,9) and grab an Easter Loot Chest. In order to participate in the event, make sure that your avatar has been created before March 30. If you are level 20 or above, simply head to Dan Dan to accept the quest for subduing the Silver, Gold, and Rainbow Troublemakers that appear every half-hour from 10:00 to 20:00 (server time) on Saturday and Sunday. Please note that the Rainbow Troublemaker only spawns at 19:30 (server time)! The Troublemaker Chest may appear when you defeat the Troublemakers. However, it requires two players to pick up and open the chest. In it, you can find Rainbow Egg Fragments. 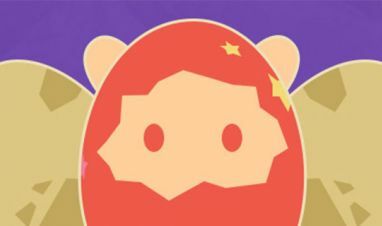 Combine 5 Rainbow Egg Fragments to create a Silver, Golden or Rainbow Egg which contain tremendous rewards. Are you feeling lucky enough already? Set your heart aflutter with a set of Valentine's Day adventures, and paint the town red!